MIAMI (AP) — Alaska is a hot destination again and river voyages are enjoying a boost in popularity this year as the cruise industry works on luring back potential first-time passengers put off by the Costa Concordia tragedy. The Concordia accident, in which 32 people died when the ship ran aground off the Italian coast in January, has been an overarching story in the cruise world so far this year. The Costa line is owned by Carnival Corp., the largest cruise operator in the world, which was forced to cut its 2012 profit forecasts nearly in half after the accident. It's also churned up an industry-wide wave of despair. "What's new is the impact of the Costa Concordia tragedy on absolutely every corner of cruising I can think of for the time being," said CruiseCritic.com editor-in-chief Carolyn Spencer Brown. "That's not something we certainly want to write about or cover or hear about — but the trend as a result of that is the emphasis on safety and security." Cruise industry officials and travel agents say people who have cruised before and understand how safe it is won't be affected as much by Concordia as potential first-time passengers scared away by pictures of the hulking vessel lying on its side in the water. Still, that's likely to slow growth in a year in which the industry was expected to further recover from the recession amid the debut of innovative ships designed to snag first-timers and families. "There's no magic bullet," said Christine Duffy, president of the Cruise Lines International Association, an industry group that represents 26 major lines. "We have to make sure people have the right information, have access to data on our safety record ... and all the questions that have been raised as a result of the Concordia. That allows for the travel agents and our brands to do the marketing that they do and bring people on board their ships." BOOKING TRENDS: Even with the loss of potential first-time cruisers, around 17.2 million passengers are expected to take a cruise this year — up 5 percent from 2011, according to the Cruise Lines International Association. International business is up: Two years ago about a third of the passengers came from North America, now it's about 68 percent. There is definite room for growth, as the trade industry's surveys show that about only about 3 percent of people in the United States have ever been on a cruise. That's why getting first-timers on board is so important. The Caribbean is again expected to be the leading destination. NEW SHIPS: Fourteen new ships are hitting the market in 2012 (13 new, one re-introduced), ranging in capacity from 32 to 3,690 passengers. The family-oriented Disney Fantasy takes its inaugural cruise to the Caribbean this month and will be based at Port Canaveral, Fla. It's the twin to the Disney Dream, which debuted last year. Disney ships will also sail from three new ports this year: New York, Seattle and Galveston, Texas. Carnival's newest ship, the 3,690-passenger Carnival Breeze will sail in June, starting with a summer schedule of 12-day Mediterranean voyages before being moved to Miami in November for year-round Caribbean cruises. The 3,030-passenger Celebrity Reflection will debut in October as the fifth ship in Celebrity Cruises' Solstice class, offering eastern Caribbean itineraries from Miami with new twists such as spa suites and a bar with craft beers. "I think we've also seen, as the business has matured, that there is becoming more differentiation between the brands," Duffy said. "There is a cruise for everyone." NEW PORTS AND ITINERARIES: The Carnival Miracle launches its first year-round cruise program from New York in April, and in June the Carnival Glory starts operating a new schedule of Canada cruises from Boston. Celebrity sends a ship to Australia and New Zealand for winter 2012-13. Holland America adds a 14-day China and Korea voyage from Hong Kong and a several new European voyages. Princess Cruises has the largest European deployment yet, with seven ships sailing 57 itineraries. The continuing globalization of the industry was one of the major topics at this year's Cruise Shipping Miami industry convention. RIVER CRUISING: River cruises in Europe and the United States are expected to gain passengers in 2012. Avalon Waterways is adding three new ships (carrying 166, 128 and 32 passengers) for European river cruises, and closer to home two ships will traverse the mighty Mississippi. The 436-passenger American Queen, the largest steamboat in the world, was bought by the Great American Steamboat Co. and got a $6 million retrofitting. It will be relaunched next month, featuring a new interior and two top-deck dining venues. 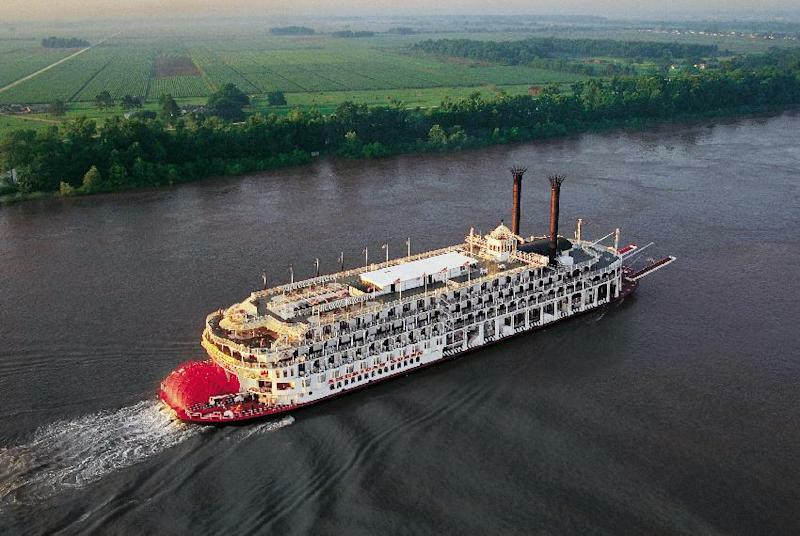 In August comes the launching of the brand new 150-passenger Queen of the Mississippi by American Cruise Lines. Spencer Brown said it's the first new build for Big Muddy cruises in 15 years. "It's been moving this way, but all of sudden, river cruising is hotter than hot," she said. "And people like it because they feel like 'we're still on a ship but we're within sight of land and it's easy to get on and off.' And they're smaller. Europe and the Midwest are really hot right now." ALASKA: The 49th state is expected to be bigger than ever as cruise destination this year. The state "head tax" for cruise passengers led some lines to reduce their Alaska itineraries in recent years, but since it was rolled back in 2010 the ships have returned. Plus, higher airfares to Europe this year have more people looking at an Alaska cruise as an alternative vacation. The Disney Wonder sailing to Alaska from Seattle this year helps put it on the radar for more families. 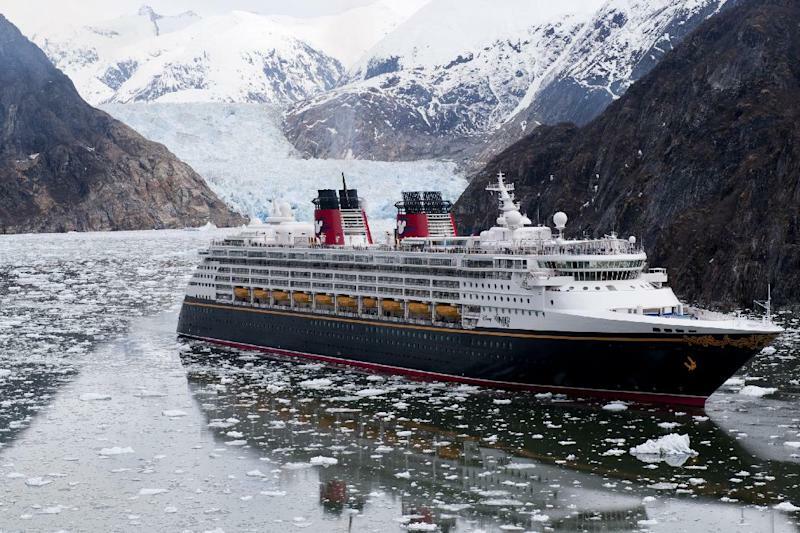 "We're seeing Alaska trend again in terms of a destination — a lot," said Vicky Garcia, executive vice president of Cruise Planners/American Express, a network of more than 800 travel agents. "Airfares are attractive enough to do Vancouver or Seattle, even Anchorage. However, Europe is just pricing itself out of the market. Air is just too expensive." MEXICO: More bad news from Mexico's west coast this year, after a spate of highly publicized crimes that caused some ships to pull out of Mazatlan. In February, 22 passengers on a shore excursion from a Carnival ship were robbed at gunpoint in Puerto Vallarta. In response, the cruise line eliminated that particular shore excursion from its offerings at the port. Those connected with the industry are quick to note that there has been no trouble at popular destinations in eastern Mexico. "In our county, they don't teach geography very well," Garcia said. "The perception is, definitely, all of Mexico is bad." Follow Mitch Stacy on Twitter at: http://twitter.com/mitchstacy.